What’s The Best 2 Stroke Dirt Bike? Our Top 10 List! While they’re not as popular as they used to be, there really is no substitute for a proper 2-stroke dirt bike. Here, we’re going to look at some of the best models on the market: some are brand new, some this list a read before you start your search. Why? Because there’s quite a lot of wrong information out there. Some sources would have you believe that 2-stroke motorcycles are no longer being produced. That’s just not true. Other sources will tell you that 2-stroke dirt bikes are difficult to maintain. Again, that’s only true if you’re bad at maintaining anything at all. Lastly, we’ve also heard of people being dissuaded from buying an older 2-stroke because it’s “probably been ragged to death already” – and while there’s a little bit of truth in that, the reality is that dirt bikes, particularly 2-strokes, are built to be punished. They’re designed to have the proverbial f*ck revved out of them. What brands are still producing new 2-stroke dirt bikes? Plenty of the big brands still manufacturer new 2-stroke dirt bikes, but not to the same extent as they used to. Since the demise of the 2-stroke street bike, some manufacturers have been hesitant to develop new 2-stroke engines but others are still flying the flag. Yamaha still have a few in their lineup, Suzuki offer a couple of models, Kawasaki too. Over in Europe, KTM, Husqvarna and Gas Gas still rely on 2-stroke machinery to pay their bills. 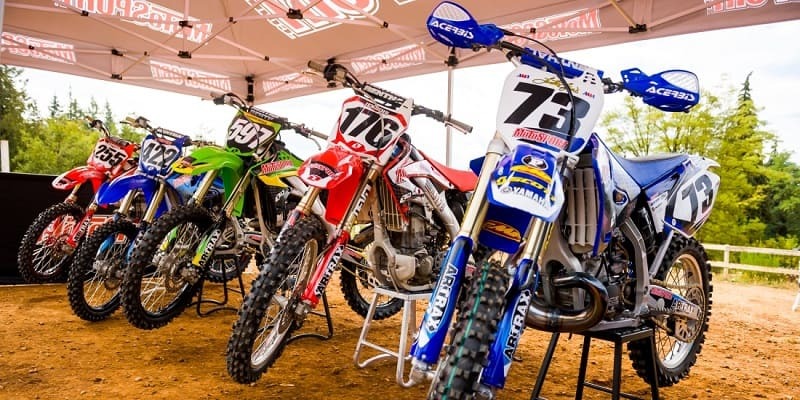 The 2-stroke era isn’t quite dead yet, but it is dying. However, which should revolutionize the future of dirt biking. Honda are also developing something similar, according to rumors. While some manufacturers are still pumping out new models, we’ve also included a fair few older gems that you’ll be able to pick up used too. Not everyone can afford a new motorcycle anyway, and when it comes to your, you might want to go …and re-invest the money that you saved on a new piston and a new set of rings! Anyway, here are our favorite 2-stroke dirt bikes for sale from now and then. The Best 2 Stroke Dirt Bike? Our Top 10! 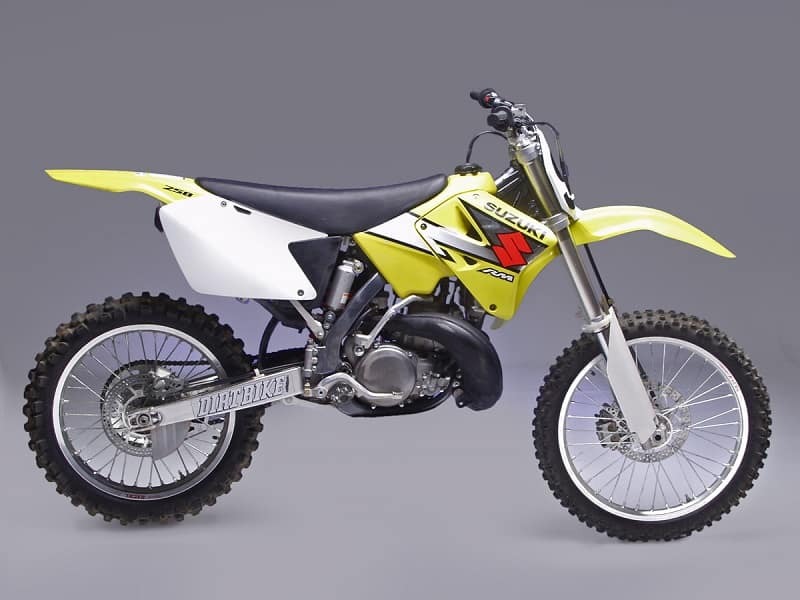 Argued by some to be one of the greatest used bike ever, the Suzuki RM250 is definitely worth considering if you’re in the market for a 2-stroke dirt bike – models built between 2003 and 2008 in particular. Since 2008 was the last year the RM250 was in production, it’s probably the one that we recommend the most – being more modern and all that. In that era, the RM250 was one of the giants of the Motocross sports segment and it’s no surprise that the later models were built to such a high standard. Often praised for the springy suspension and the fast, powerful 2 stroke engine, you can’t really go wrong with the late 00s Suzuki RM250 should one come up for sale. We’ve seen them sell for around the $2000 marker and under, but grab them now – because any new 2-stroke emissions laws may either make their re-sale value plummet or skyrocket. Who knows how that could play out in the near future. In at number nine, we have the KTM 250SX. This a pretty heavy duty 2 stroke dirt bike that ticks all of the right boxes. The 2-stroke engine has been praised by riders all over the world since it first came on the scene back in 2002. It’s one of the fastest dirt bike models out there; a powerful, reliable beast that’s an absolute pleasure to thrash. It’s argued to be the fastest 250cc 2-stroke that the public can buy, and we’d be inclined to believe that boast. It certainly is pokey, but it does get a little let down by its suspension, but that’s a notorious KTM problem tham many KTM riders are already used to. 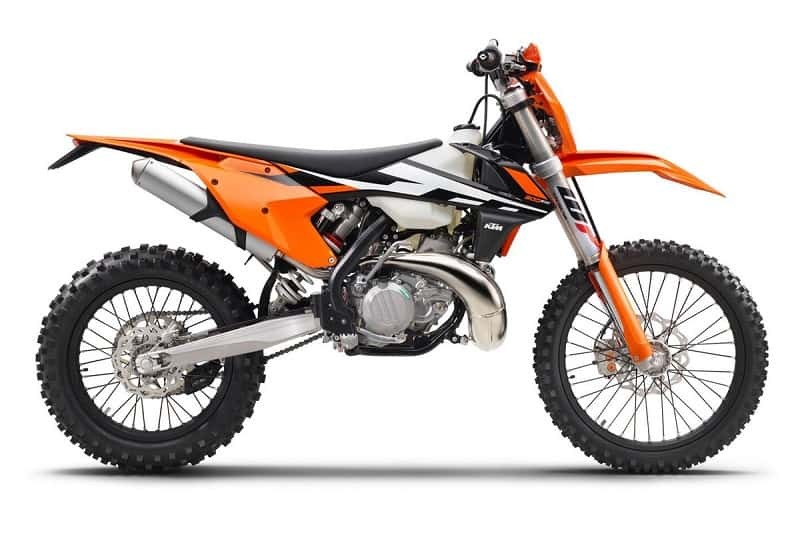 For the purposes of this list, we’re particularly interested in the SX motocross version, which comes with both a kick start and electric start function. The full blown MX version is fine, but it doesn’t have that electric convenience. As for the price, KTM motorcycles – across all segments – have a habit of annoyingly retaining their value. Finding one at a rock bottom price ain’t gonna happen. If you’re sold on buying one, consider buying one new if you’ve got the cash to spare…because they’re still in production. 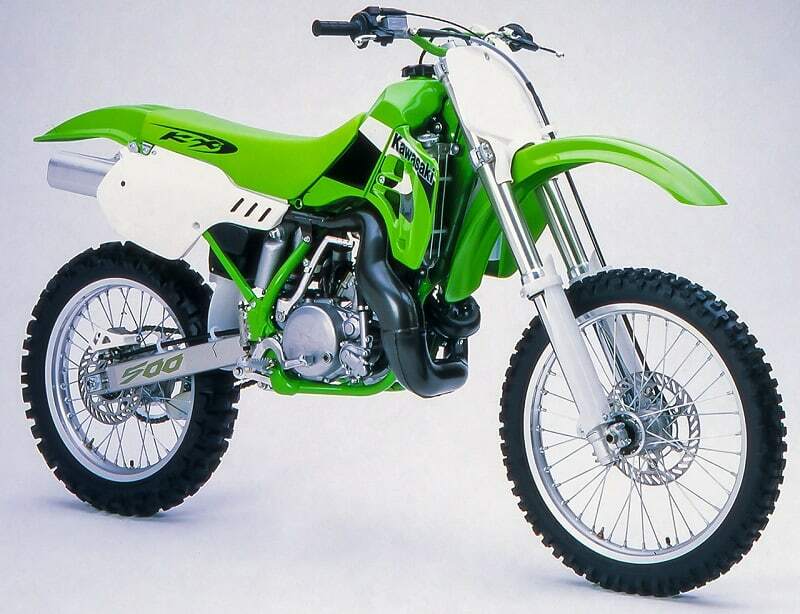 When the Kawasaki KX500 first rolled onto the scene back in 1983, it was already a legend. At 499cc, this single cylinder 2 stroke dirt bike was a veritable powerhouse, and some people would even go as far as to call the Kawasaki KX500 one of the most powerful dirt bikes of all time. Sadly, it was discontinued in 2004, despite having won numerous racing competitions all over the world – and it’s the last generation that we’re including in this list here, models from between the years 2000 and 2004. 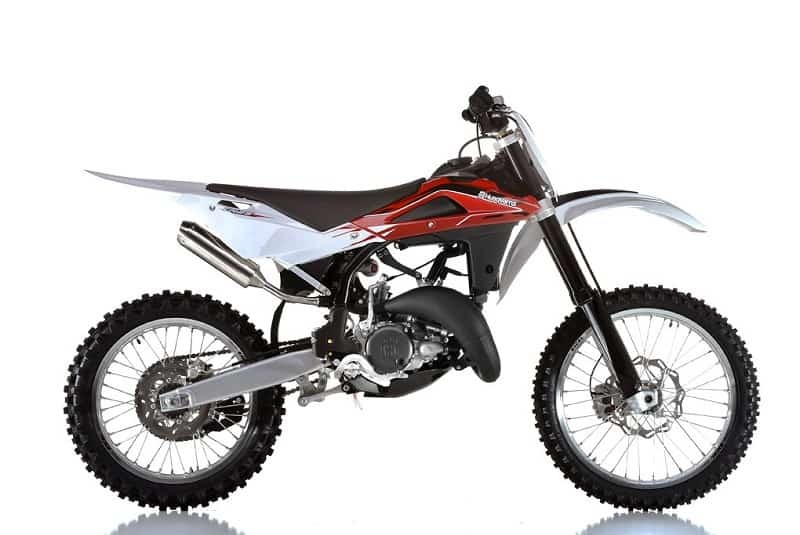 Fast, furious, and incredibly powerful, this is an ideal 2 stroke dirt bike for someone who is a big fan of horsepower. Since they were so popular in their heyday, they’re fairly easy to find in the used motorcycles ads. While they go for as cheap as $500 for older models, it’s worth paying around the $2500 marker for something newer that’s in better condition. It’s easier to get parts for the 2000 to 2004 models too. Now for something more current: the Yamaha YZ250. The YZ250 has a long and illustrious history that dates back all the way back to 1974, but unless you’re a real vintage enthusiast, you’re going to want a more modern model. 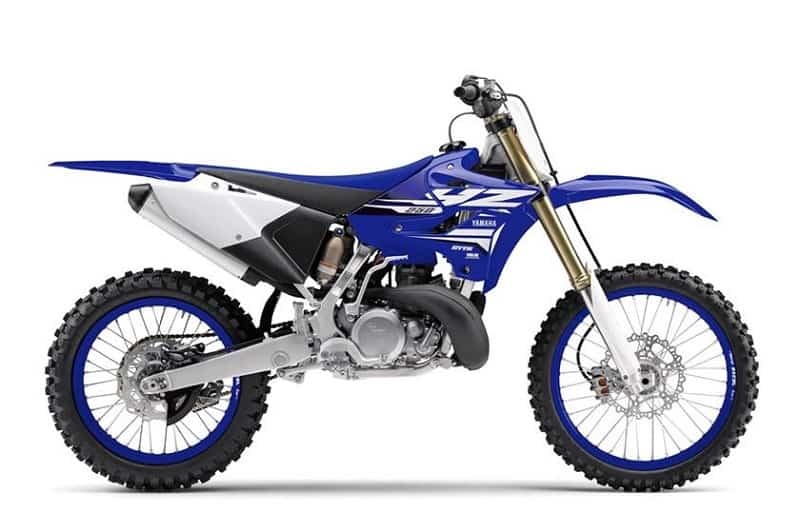 Fortunately, Yamaha are still manufacturing the YZ250 today, but if you can’t afford to buy brand new, a model dating back from 2005 and onward will do just fine. This 2 stroke dirt bike boasts a water-cooled 250cc engine that has a claimed 48.8 hp and 32 lb-ft of torque, that’s held in place by a single backbone aluminum frame. Weighing a mere 212 lbs, it’s quite an impressive machine. The only drawback is the suspension, but from 2006 onwards, Yamaha treated the YZ250 to newer KYB SSS suspension. If you’re still not convinced, the Yamaha YZ250 has 5 AMA National Motocross titles and 9 AMA National Supercross titles to its name. If you want to buy one of these new, Yamaha’s official pricing starts at $7,399. made a huge mistake (if you want our opinion) back in 2007 when the company announced that they were stopping production of all of their 2-stroke motorcycles. At the time, many people thought that it was the end of the 2-stroke era, but here we are – a decade on – and 2-strokes are still here. 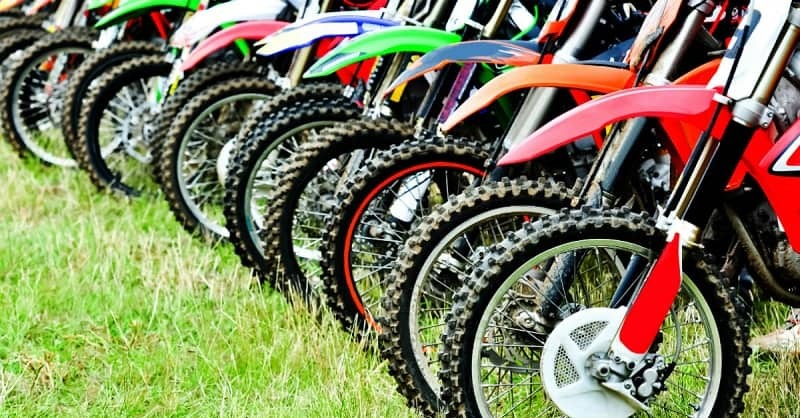 Sadly, the Honda CR250R isn’t one of them., unless you can find a used one for sale, that is. 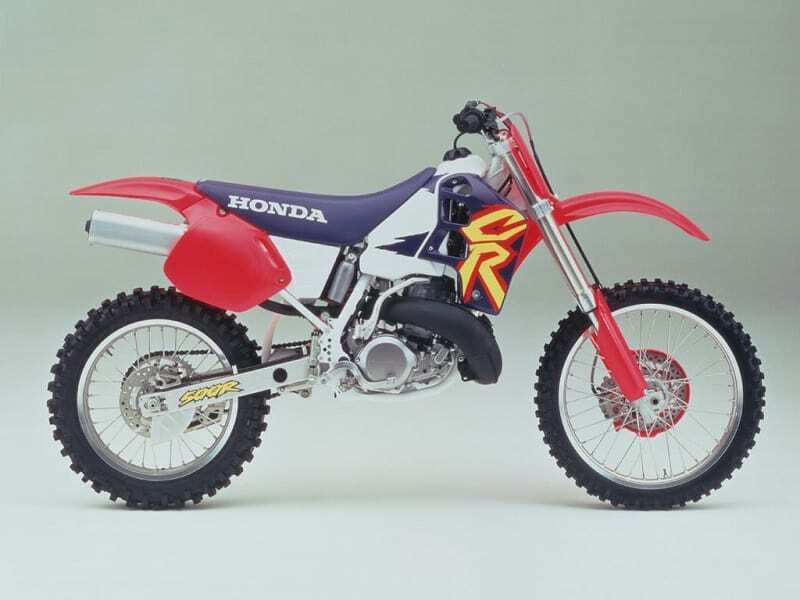 Honda had been making the CR250R since 1972 (’71 if you include the original prototype) and they’ve had just as much of an exciting history as the Yamaha YZ250. 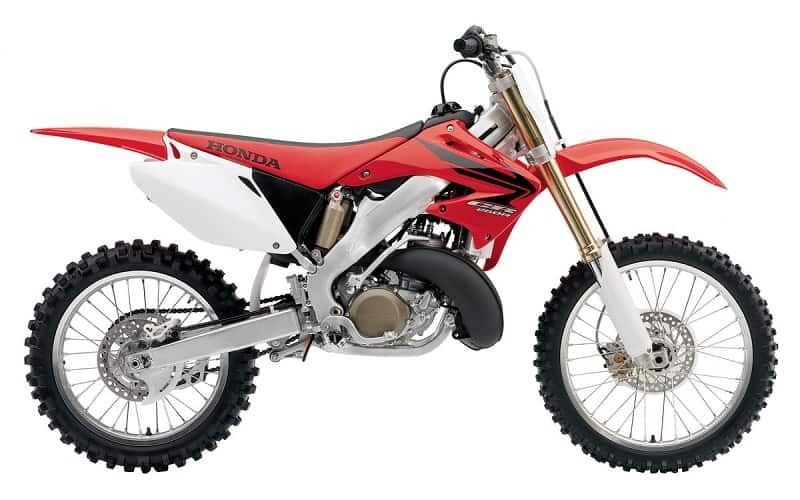 The Honda, however, has won even more titles: 15 Supercross championships, 12 Outdoor National championships, and a hell of a lot more. Despite the success on the track, most professional riders would still favor the Yamaha, but we’ve placed the Honda ahead in this list for the sake of price and availability. There’s no shortage of these for sale, and it’s not unheard of for one of these beauties to go on sale for as little as $1000 in fantastic condition. Aim for the early 00s versions for the best deals. Having the smaller version of the Yamaha YZ125 on the list isn’t laziness on our part, it’s just that for some riders, the YZ125 is a superior choice. If you’re anything like me – which is not that great at dirt biking – then the YZ125 is an ideal option. It might be small, but it’s more than enough. 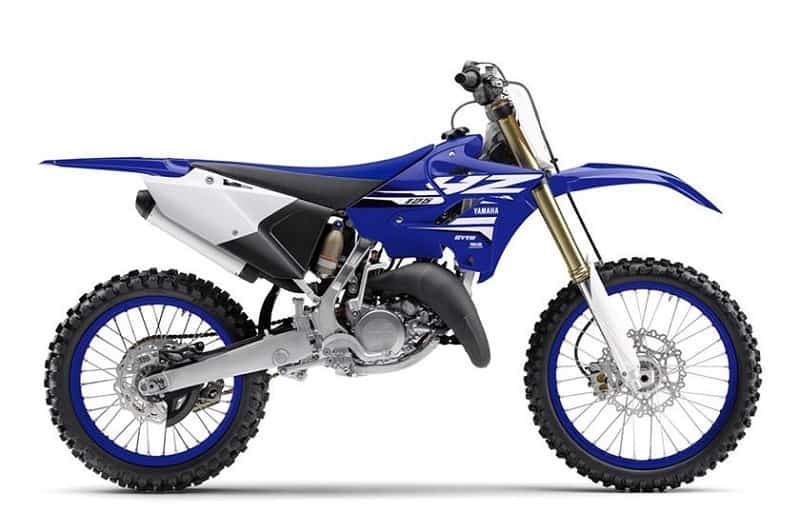 The YZ125 comes armed with a liquid-cooled 124cc, reed valve inducted 2-stroke engine. Yeah, it’s a learner approved 125 but it produces 33 hp at the rear wheel. That’s 33 hp in a chassis that has an overall dry weight of 190 lbs. If you were having doubts about its power, it’s powerful enough to haul you around a dirt trail. And light enough so that when you inevitably drop it, you’re not going to hurt yourself too much and the bike’s going to be fine. These things are indestructible, and that’s probably why the YZ125 is one of the most popular 2 stroke dirt bikes ever made. If you want to buy one new, Yamaha’s MSRP is $6,499. If you want a used model, we recommend searching for something from 2005 onward – these can be found for around $1,500. is one of the last bastions of real, proper, 2 stroke dirt bike fury – but sadly, this absolute beauty of a machine was discontinued back in 2013. It’s not for the faint-hearted either, because although it looks like an innocent 125cc, it’s built on top of proven racing technology. If you can find one for sale, you’d better snap it up quickly and whatever the price, you won’t regret the purchase. The engine is a liquid-cooled 124cc 2-stroke single that shoots out around 40 hp of pure joy all across the rev range. The engine is mated to a bullet proof six-speed gearbox for enhanced control and performance. On top of that, Brembo brakes are thrown into the mix, along with pretty decent Kayaba suspension. It’s a shame that these are no longer being made, because they’re a lot of fun to ride. If you can find a Gas-Gas 2 stroke dirt bike for sale in the USA, we heartily encourage you to give one a go. The Spanish brand may not be as well-known as the big Japanese manufacturers or other European firms like KTM and Husqvarna, but don’t discount the Spaniards here. For the sake of this list, we’re focusing on the newer 2018 EC 300, but any of Gas-Gas’s previous 250 and 300 models are worth your money. According to other sources, the 2018 EC 300 will be the last of its kind, and there are rumors that it might be (ironically) the last gas-powered Gas-Gas motorcycle, since the firm has been bought by an electric bike manufacturer. 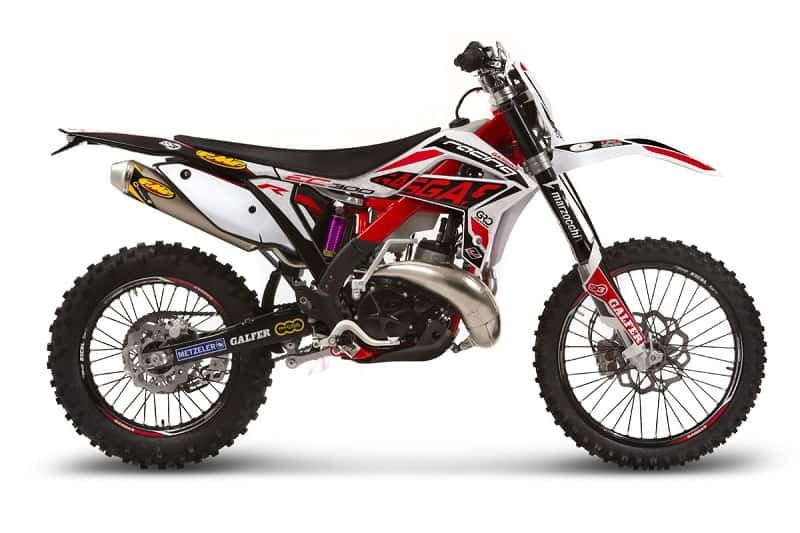 So, why not celebrate the awesome brand by buying what could be their last 2 stroke dirt bike? 299cc, Nissin brakes, KYB suspension, 231 lbs dry, European sexuality – what’s not to like? 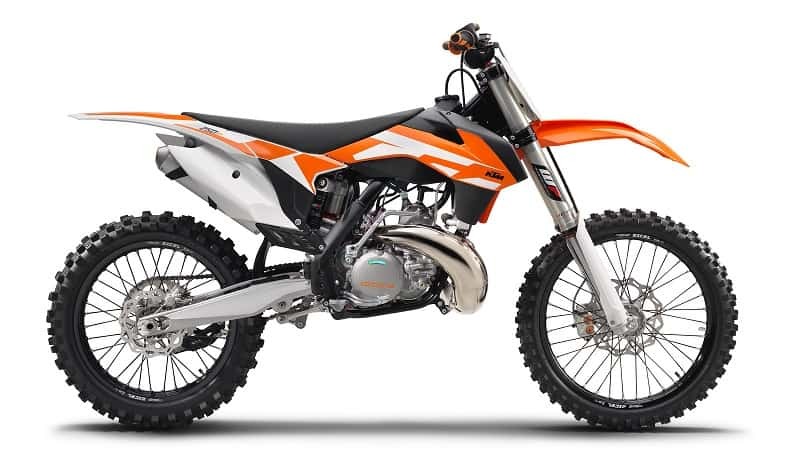 Dubbed the “most powerful 2-stroke engine in its class” the KTM 300 EXC is one of the best dirt bike models in the class. KTM claim that it’s the best weapon in your arsenal for pro circuit racing or riding off-road and that includes against other 2-stroke dirt bike models and 4-strokes too. The 300 EXC has been around for quite some time now, and if you’re not able to buy a brand new one, you can get a used model from a private seller. If you’ve got to go down the used route, we recommend getting something post-2004, and ideally something newer than 2008 if possible. The 2008 models come with a very powerful engine, and comfortable riding ergonomics, as well as the addition of a very handy electric start. Prices tend to be high but if you’re lucky you can find these bikes for sale at around $3500. Or, you could always go new and get a brand new KTM 300 EXC for $9,099. It’s expensive, but if you want the best, you’ve got to pay through the nose for it.